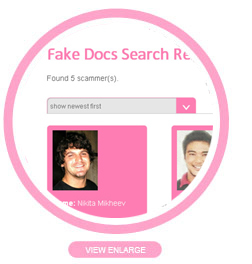 Our database has 2005 fake documents to date. This is the largest collection on the internet of fake documents used by scammers. 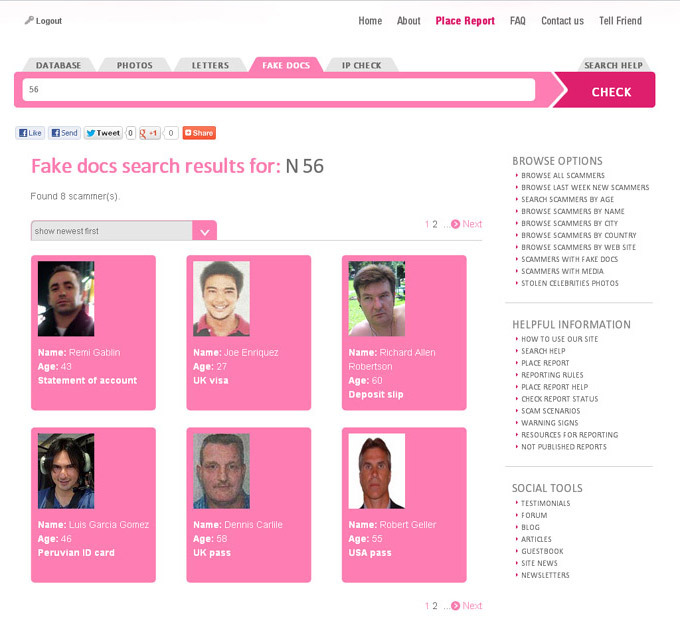 This feature will allow you to search our database for fake documents by their number. Scammers often send fake or fraudulent documents to convince you they are "real". Type the number of the document in the search field to see if it is registered in our database. For example; the number is 555 № 123456789. You can search for 555123456789 or part of the number 555 or 123456789 or 555123 or 5551234 etc.